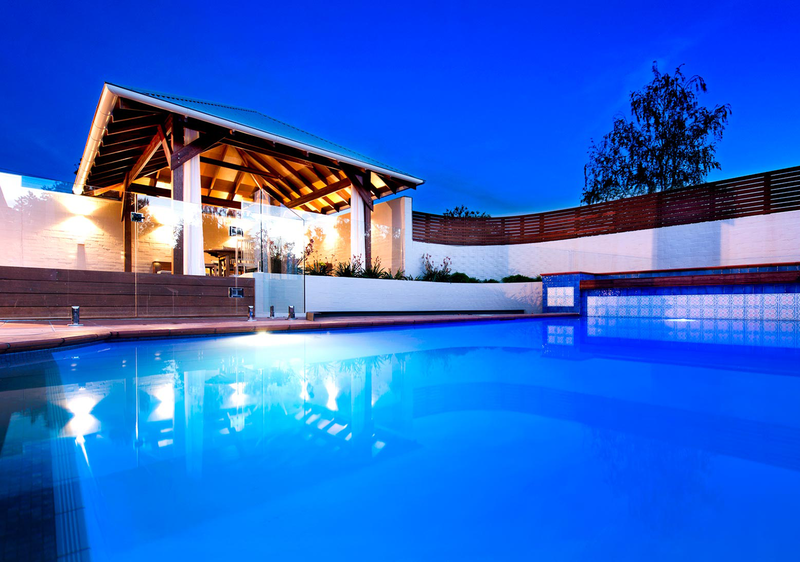 The project involved the removal of an existing enclosed brick studio to create a new covered outdoor living space overlooking the existing pool with direct connection to the main house. 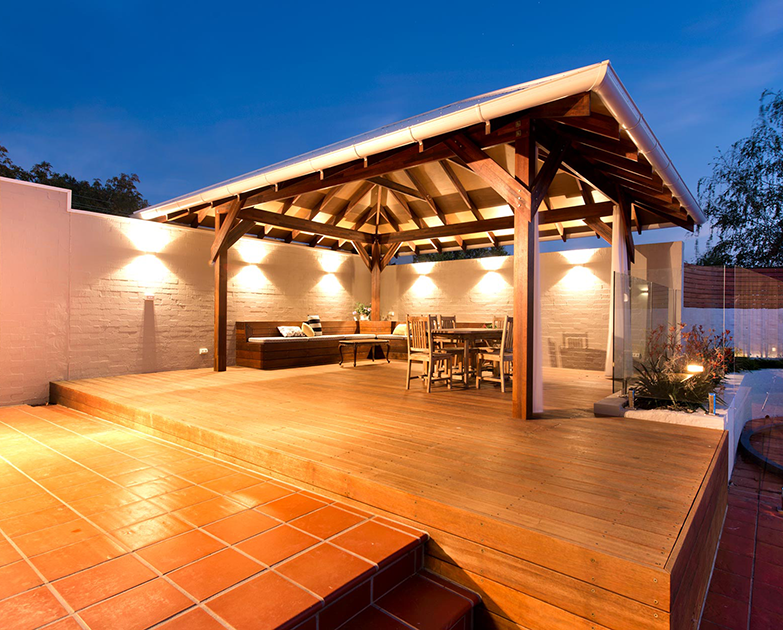 The high-pitched roof constructed using natural timber beams and rafters mirrors the roof forms of the existing house whilst also providing a light filled and open outdoor entertaining area. 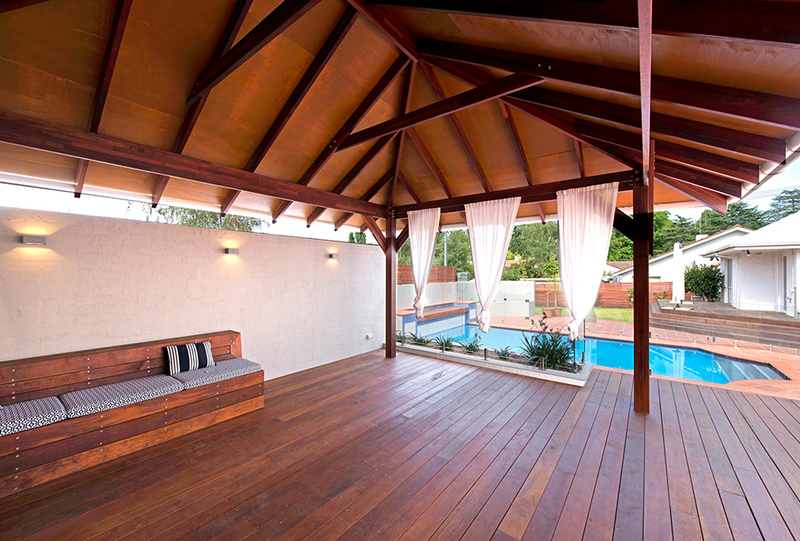 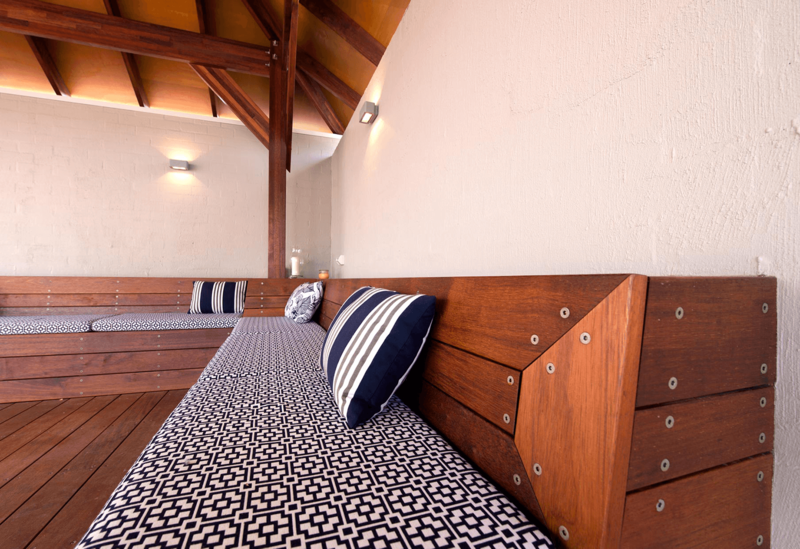 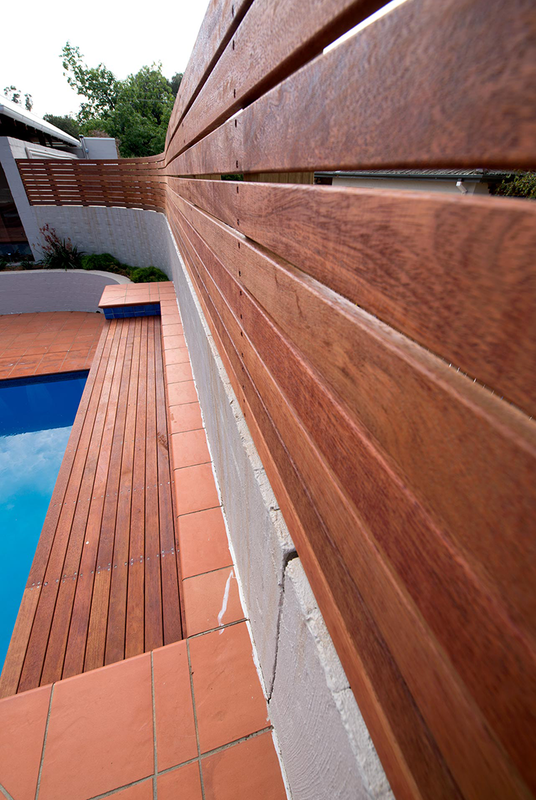 New natural timber decks, glazed pool fencing and soft landscaping complement the existing terracotta paving which merge with the new outdoor structure to provide a new and integrated outdoor living and entertaining environment the whole family can enjoy.